Just 2 km. Llanes is SELVA ASTURIANA, a complex of active tourism where you can perform various activities surrounded by nature. 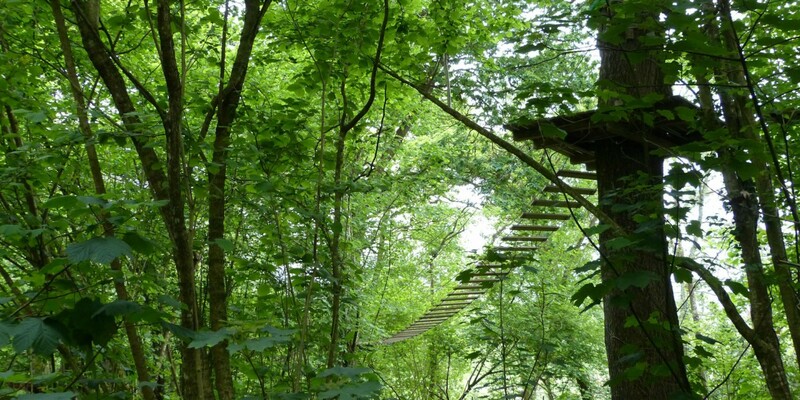 Treetop adventure, Archery, Children's Forest, guided forest trails, observation of nature (fauna and flora), Laser-tag strategy game where you can enjoy group is one of the biggest attractions and more activities that are SELVA based facilities ASTURIANA adventure in Llanes. An estate of 75,000 m2 divided into different areas to perform activities completely independently without any interference between them. similar to those of the Picos de Europa, while wear that thousands of years ago was performing what is now the Bay of Biscay seen rock formations are observed. The "mine shaft", now converted into a natural lake as a result of having flooded after industrial exploitation of a mine ferrous material, became one of the first items to be protected, because for decades was a dump, which I get to do it incompatible with any kind of life, today recovered and different spices and dwell in it and its surroundings are.